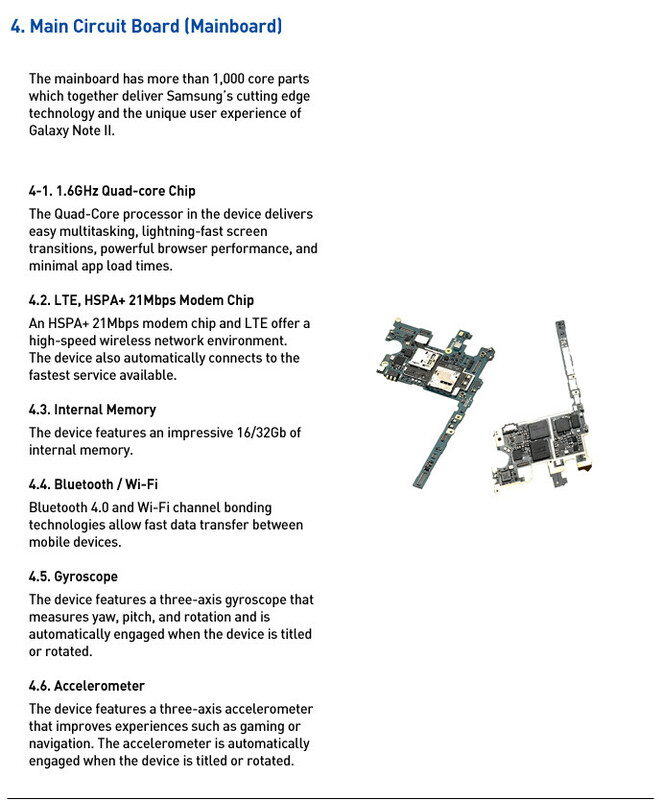 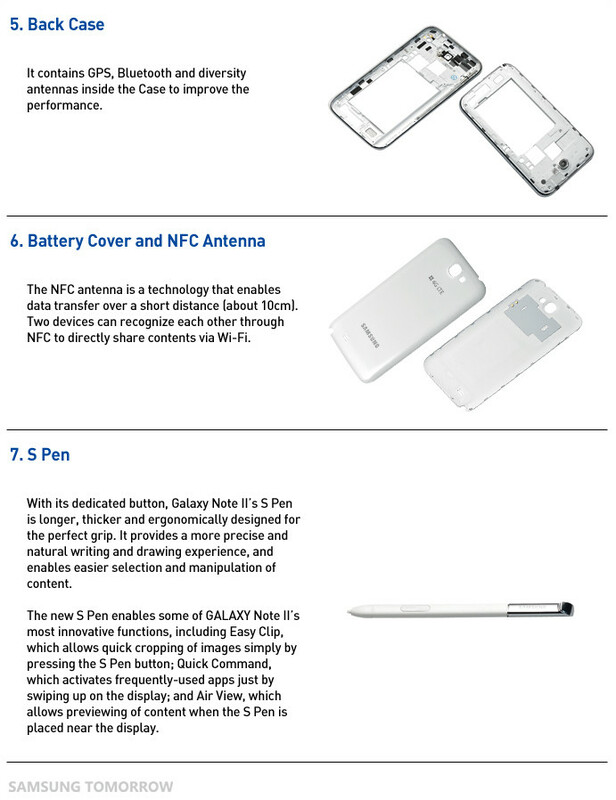 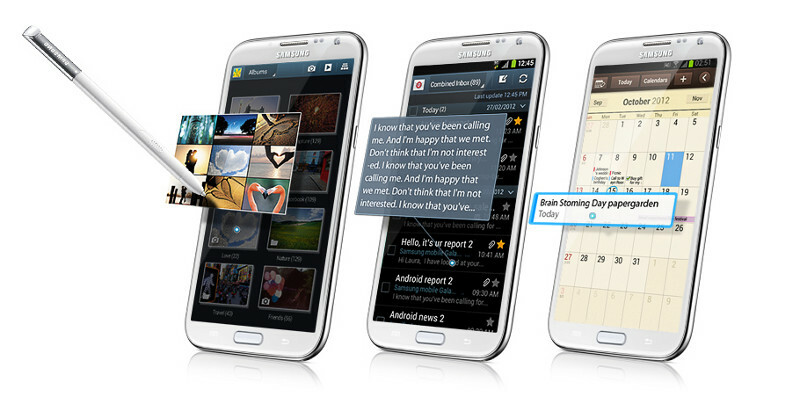 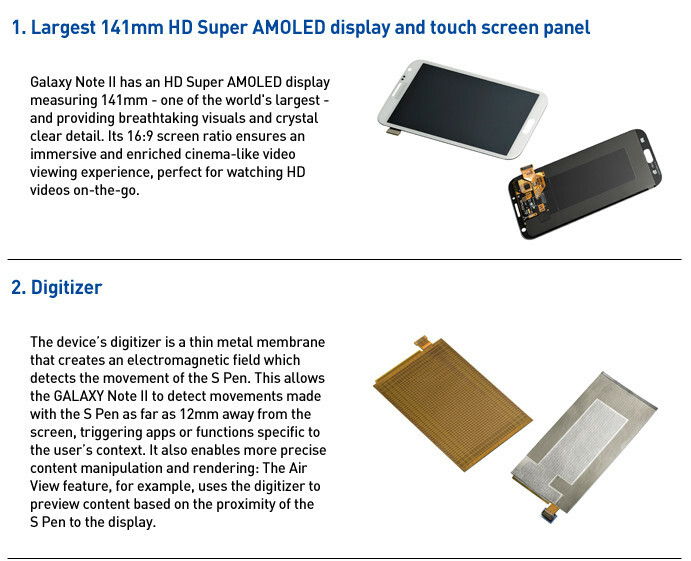 Would you like to snoop inside the Samsung Galaxy Note II? 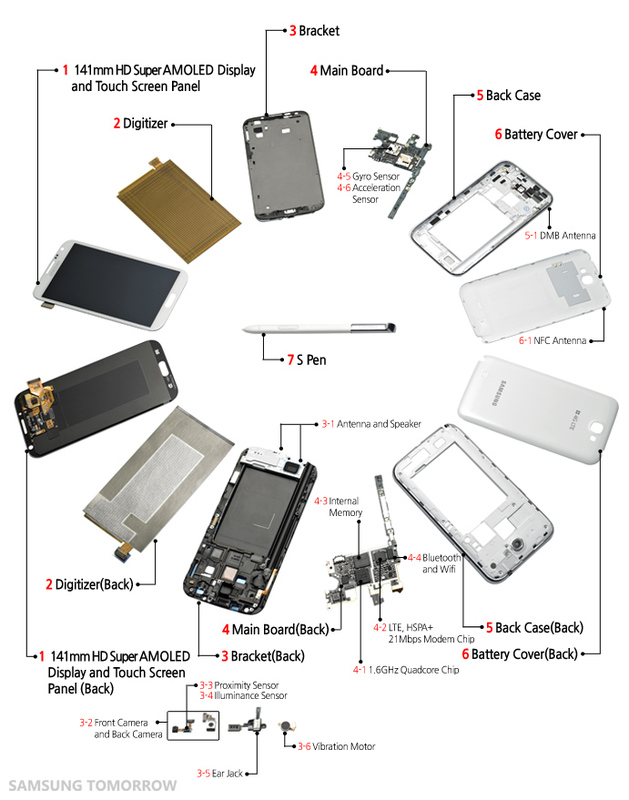 Now, thanks to the images provided by the manufacturer, you can see the inner of this smartphone (or should I say phablet?). 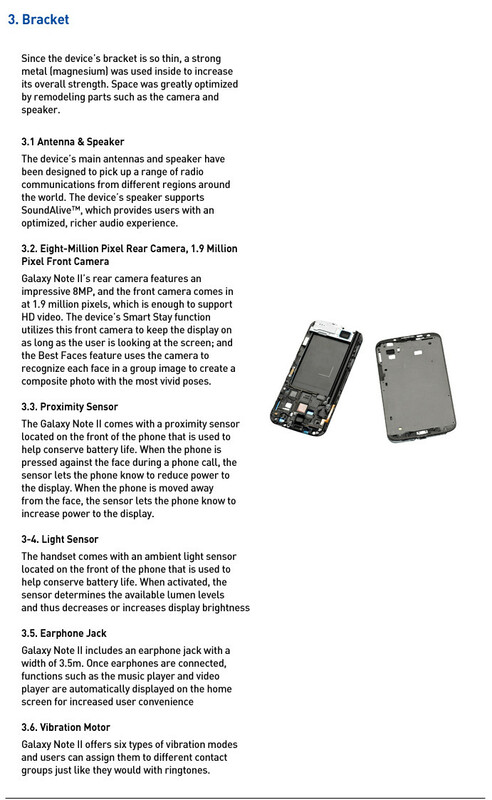 When seen into pieces, it's hard to believe all this stuff could be accommodated in a profile so slim.